Beirut (AFP) - Hassan Nasrallah, chief of Lebanon's powerful Shiite Muslim movement Hezbollah, strongly condemned Saturday the Islamic State group's attacks in Paris that killed at least 129 people. 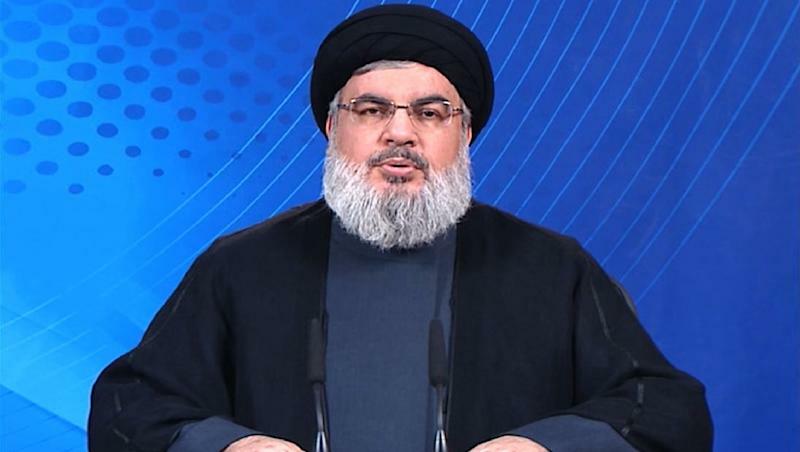 "We, Hezbollah, express our strong condemnation and denunciation of the terrorist attack by the criminals of Daesh in Paris," he said in a televised address, using the Arabic acronym for the jihadist group. Expressing his solidarity with the French people, he said the Middle East was also suffering "the earthquake" of jihadist groups. IS's extreme interpretation of Sunni Islam considers Shiites to be heretics. Nasrallah was speaking on Hezbollah's Al-Manar television channel two days after twin IS suicide bombings in a southern Beirut stronghold of the group killed more than 40 people. Hezbollah is a leading backer of Syria's embattled President Bashar al-Assad, and its militiamen have fought alongside regime forces in the country's civil war. The movement has said its involvement in Syria will keep Lebanon and the region safe from jihadists, including IS. On Saturday, Nasrallah said those who thought the attack on southern Beirut would discourage Hezbollah from acting in Syria were mistaken. In Syria "we fought against Daesh and others... but after this operation, we will search for fronts with Daesh, so our presence will be larger and stronger," he said. "There is no future for Daesh. Not in war and not in peace," he said. Nasrallah said that at least one of the attackers in the Burj al-Barajneh explosions was Syrian, but he urged viewers not to retaliate against the more than one million Syrians who have sought refuge in Lebanon.